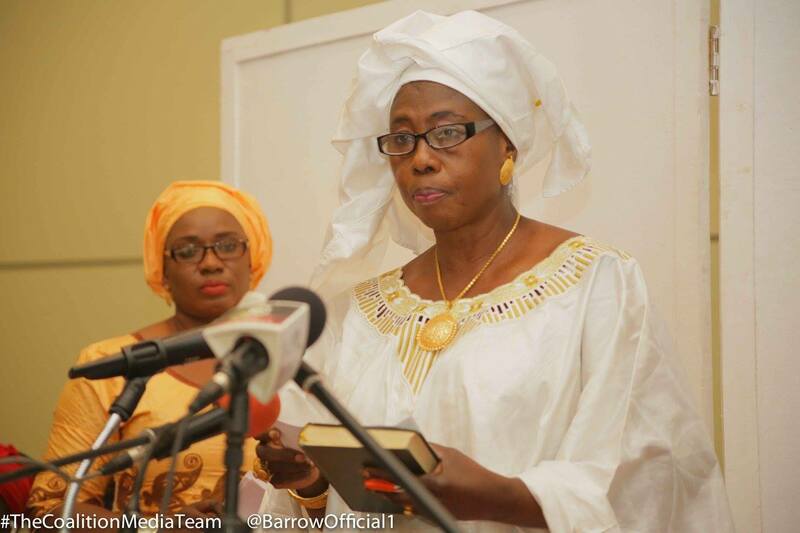 Dr. Isatou Touray saddened by the UDP and NRP decision, urge Gambians to vote for the coalition in the April 6th NAM elections. Fellow Gambians, we are at a crossroads as a nation, having effected a change in leadership by electing H.E President Adama Barrow in the recent presidential elections through a commendable effort spearheaded by ordinary Gambians yearning for democratic change, I wish to express my personal gratitude to all who contributed to this effort. It is incumbent on us to ensure that all three arms of government- the executive, the judiciary and the legislature are strengthened. The latter arm is particularly important because it will be responsible for drafting and passing the much needed laws that will shape the destiny of our country. Having suffered the consequences of a weak parliament, we must strive to ensure that this flaw is corrected and that it never happens again. It is my firm belief, that in working together as a coalition, we can continue to build on that spirit of unity and cohesiveness that is needed to put the right people in parliament to represent us in implementing the constitutional changes that will form the foundation of our democracy. I urge all Gambians who are committed to ushering in a new and prosperous Gambia to join forces to elect parliamentarians who are competent and committed to our national cause. I believe that the best way to achieve this is through a unified front- in the form of a coalition effort in the National Assembly elections. I urge fellow Gambians particularly women who form about fifty percent the population to take an active role by contesting in the national assembly elections to represent their communities. We need to ensure that the constitution of our national assembly reflects the demographic structure of our population for that is the only way that we can leverage the strengths of our diversity.